Social media is the one thing that almost everyone has access to, yet most people don’t fully understand — especially when it comes to business. Many people (even people with years of marketing experience) think posting pretty pictures on Instagram is "doing social media," when posting images is only the tip of the iceberg. The activity that lies beneath the surface is much more complex and important for successful social media marketing.Many articles out there give tips on things you should start doing to achieve social media marketing success. In this piece, I will talk about things you should stop doing — and stop doing immediately! 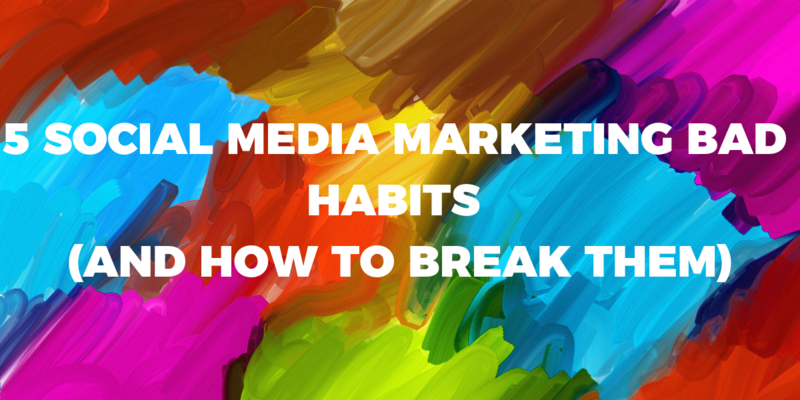 Here are five social media marketing bad habits (and how to break them). Guess what?! Followers and engagements alone will not help grow your business. This is a fact. Thousands upon thousands of studies and articles can prove it. Sure, there is a correlation in the amount of time consumers spend with a brand online and their likeliness to purchase from said brand. There is also something to be said for positive consumer sentiment. But brands and marketers who are content to simply track the number of followers they gain on Instagram and the amount of likes they get on a Facebook video are making a huge mistake. You absolutely must base your social media marketing success off of more than just vanity metrics. While community growth and engagement are pieces of the puzzle, you would be much better served by including metrics such as impressions, website visits, time on site, conversions, and bounce rate. By layering in these true digital marketing metrics, you can start to see how social media activity helps you meet your business goals. Now, it is important to note that sometimes the main objective of your social media marketing efforts truly might be brand awareness — which is fine. In this case, you are going to want to push for as many Impressions and targeted brand engagements as possible. The big thing to avoid here is judging your social media marketing activities by follower growth or engagements alone. One of the most underused strengths of social media marketing is storytelling. Let me clarify by saying that storytelling in marketing isn’t this majestic fable that your brand is stringing together. Storytelling is how your brand gives snackable, contextually full snippets about why you exist and how you do what you do. These stories should be concise and easy to understand for uber-distracted social media users. Sometimes brands try to string out storytelling across a few different blog posts or content pieces not realizing that distracted social media users are more likely to get confused by the lack of ongoing context than to follow a single story from start to finish. To avoid any confusion, I typically recommend a series of independent stories that can stand alone and be easily digested. After all, how realistic is it that users will remember post #1 of a five-post series about your product or service. It’s a fragmented experience. Imagine scrolling through your own social media feed, seeing a content piece that is in the middle of an ongoing story, and you missed the beginning (and will likely miss the end). Pretty confusing right? Consider creating smaller stories that build your brand up individually over time. This way, if users get interested by one content piece, they can dive deeper into those stories across your social accounts and/or blog. There are so many data points spun off by social media activity that it is unacceptable not to have your analytics organized in a way in which insights can be teased out. Too many brands simply post daily and hope for the best, as opposed to reviewing detailed reports to learn about what worked, what didn’t, and what opportunities might be on the horizon. To avoid having weak or useless analytics, you are going to want to organize your data so that it helps you derive context from the numbers. For instance, are your impressions lower than the previous month, but your overall engagements are up? This suggests that your content was favored less by the algorithms, but people really liked it. Did your website visits from Facebook spike, but no conversions came through? This suggests that the experience on your landing page might not be optimal or there was an inconsistent experience along the way. 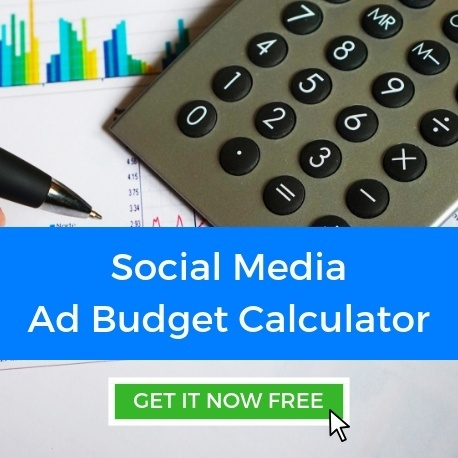 You can use a tool like Sprout Social to easily collect social media analytics. I also highly recommend using Google Analytics to review how the traffic from social media sites is behaving on your website. This allows you to standardize activity and find trends across marketing channels. A big mistake that a lot of brands make is thinking that social media marketing alone should be responsible for business success. All too often I am asked to launch a social media strategy without a high-quality website, an email marketing strategy, or even a solid search engine marketing strategy. When social media marketing is the only player out on the field, your team will lose! When you think about user behavior and your own activity when making a purchase online, it becomes apparent that consumers interact with multiple stimuli before making a final buying decision. By only relying on social media marketing to make sales, you are relying on a channel that really focuses on upper funnel awareness activity to carry a consumer all the way through to final buying decision. Don’t get me wrong, it can happen. However, it’s not likely to happen as frequently as you might hope. Another point here is that many brands fail to use social media marketing to support an overarching initiative. For instance, if your company has a really awesome piece of downloadable content, you should create blog posts that support it (be sure they are optimized for search engine visibility), deploy email marketing campaigns to generate traffic to the content, publish paid and/or organic social media content supporting the effort, and retarget all traffic that had visited the content landing page but didn't convert. An integrated approach like this will go much further for your brand than placing social media marketing in a silo and hoping for the best! I am a huge fan of social media advertising. Comparatively, you would be hard pressed to find a more cost-effective method for targeting consumers online. With interest data, behavioral data, CRM data, and lookalike modeling, social media advertising can target almost any group of consumers in one way or another. The altruistic intention of social media marketing to bring brands and consumers eye to eye digitally doesn’t exist anymore. It's just unrealistic. There are so many distractions and competitors online that it is not rational to think that a brand can cut through all the noise through organic engagement alone. Almost all the platforms limit the reach of content in some way, so brands are already starting at a loss. Most brands don’t understand how attribution impacts the ROI of social media advertising. As I mentioned before, social media marketing tends to be very effective when it comes to building awareness. Social media can help stimulate direct sales, but most consumers bounce around between devices and marketing channels when shopping, so tracking breaks and social media activity doesn’t get the trackable credit it deserves for generating sales. There are ways to fix this; however, when brands are ignorant to the situation, they simply look at conversions and get disappointed that social media hasn’t generated more. The big missed opportunity here is omitting social media advertising from your social media marketing strategy. No matter your business goals, there is a social media platform and an ad unit that can help you achieve them. Once you quit these five bad habits, you will undoubtedly begin to see improvements in your metrics and be well on your way to achieving social media marketing success.